Crown @ Robinson is a rare freehold property with facilities to be developed by WyWy Group at 140 Robinson Road. This Grade A offices and retails in prime District 01 CBD area stand tall on 19 Storey with total 80 units size ranging from 592sqft – 1,152sqft. This Rare Freehold Premium Commercial Development comprises a total 86 units of offices and 6 retail shops, will soon replace the former Chow House. 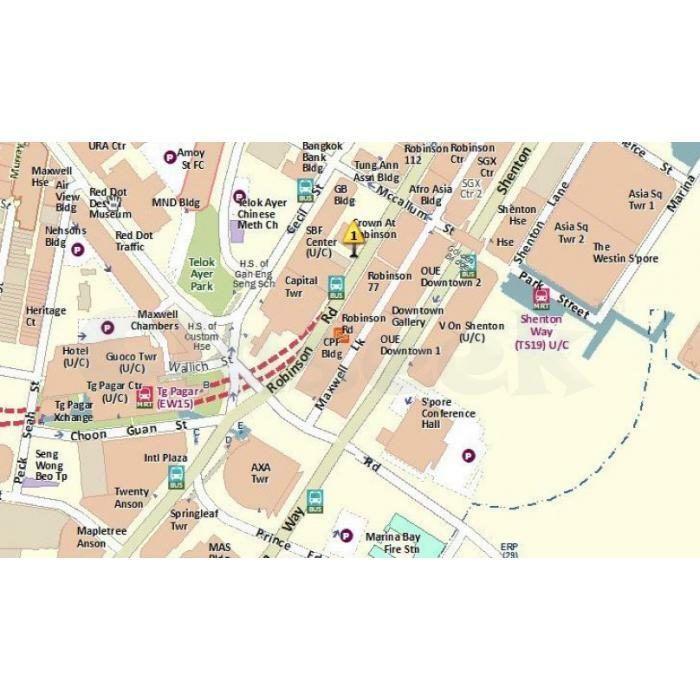 Crown @ Robinson is within short walking distance to Tanjong Pagar MRT Station, Downtown MRT Station, Telok Ayer MRT Station, as well as future Shenton Way MRT Station. Crown @ 140 Robinson Road is also within one MRT stop from the Marina Bay Financial District, an extension of Central Business District (CBD) in Singapore’s consists of three office towers, two residential towers and retail space at Marina Bay Link Mall, occupying a 3.55 hectare site in Prime land Singapore. With many MRT Station just a stone throw away and countless office building in the vicinity, Crown @ Robinson offers the traffic and the opportunity for your business to expand beyond expectations. Grade A offices are always in limited supply especially for the freehold strata-office units in CBD. Hence, investors should take a long-term perspective to realise the potential of Crown @ Robinson.